Editor's Note: Soccer fan Cecilia M. ('16) tackled a challenging geometric puzzle by assembling a miniature soccer ball model. I have loved to watch and play soccer ever since I was very little, but I have never understood how the pattern of hexagons and pentagons fit together in the balls. 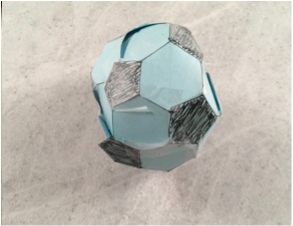 I decided to make a soccer ball out of paper for my explore math! 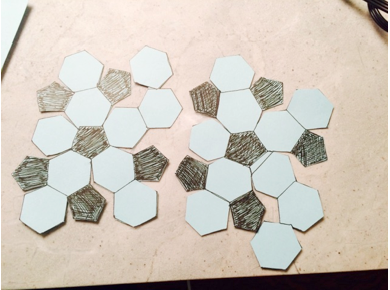 This allowed me to see and understand how the hexagons and pentagons fit together. 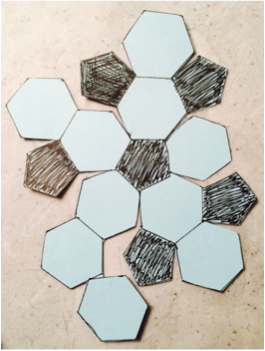 Using a template that showed me how they fit together, I folded, cut, and pasted to create a paper soccer ball. 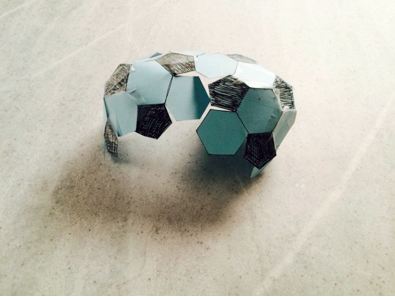 Below I have included the steps I took to make the paper soccer ball. There was limitations to this model: the paper folded well, but the tape could not stick well on the curved sides (the ball fell apart after a couple of days). This was a very fun and interesting experience. I now understand the shape of the soccer ball much more; I think I would be able to draw one more accurately. 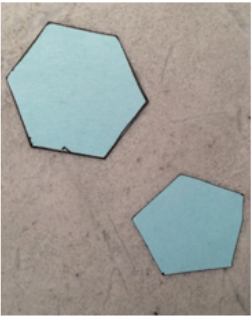 The ball did not fit together perfectly, which I believe was a result of the hexagons and pentagons not being perfectly equivalent in size. I would love to try this again, if I ever have time, and hopefully make an even better one!